If you have a craving for Tex Mex, try adding these zesty flank steak fajitas to your dinner menu. Once you marinate the meat and have the vegetables prepped, this fantastic flank steak fajita meal goes together fast. It is healthy, colorful, and very tasty. I love making a homemade Guacamole to go along with these fajitas. In summer, fresh garden tomatoes are also an excellent addition. Traditional fajitas mix in grilled onions and bell peppers, but you can also get creative with your favorite vegetables such as adding zucchini. Serve with some rice and beans and you are in for a feast! This Southwestern-Style Flank Steak Fajita recipe, comments, and photos were shared with me by Karen Calanchini, Food Stylist and Photographer, of Redding, CA. Learn about the History of Fajitas. * If you can not find Fajita Seasoning or Montreal Steak Seasoning, substitute your favorite steak seasoning. In a medium-size bowl, combine the Fajita Seasoning, Montreal Steak Seasoning, oregano. olive oil, vinegar, chile pepper, and lime juice; whisking to blend. Place flank steak in a large zip-lock plastic bag; pour in the prepared marinade. Close bag and rub mixture into both sides of the meat. Refrigerate and let marinate overnight or at least 8 to 10 hours, turning several times. When ready to cook, remove meat from the refrigerator about 1 hour prior to cooking to reach room temperature. 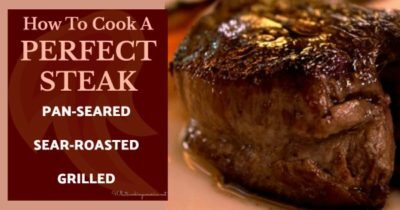 Remove steak from marinade and discard marinade below grilling. Prepare and preheat your grill for. Grill meat approximately 6 to 7 minutes on each side for medium rare or until the internal temperature reaches desired temperature on your meat thermometer or 120 degrees F. to 125 degrees F. NOTE: This steak is best cooked rare to medium rare. If overcooked, the meat can by dry and chewy. Remove from grill, cover with aluminum foil and let rest for 10 minutes. Slice into thin slices, against grain. Set aside until ready to serve. Prepare Vegetables (see recipe below). Preheat oven to 325 degrees F. Heat 4 flour tortilla shells in the oven for about 20 minutes. To serve, fill each heated tortilla shell with flank steak slices and vegetables. Add Additional Toppings as desired; fold over both sides of flour shell and enjoy. Heat butter and olive oil in a large sautpan; add mushrooms and saute until slightly golden. Add peppers and onion; saute for about 10 minutes. Add garlic and sautuntil fragrant. Saute vegetables to your preference. We like our peppers to have a little crunch left in them. Add salt and freshly-ground pepper to taste.